Designed specifically for the new BMW F80 and F82 M3/M4, Active Autowerke introduces their most innovative cat-back exhaust system to date. Over 30 years of constant development and refinement in exhaust designs has resulted in this newest addition to the M3/M4 collection. Active Autowerks F8X rear exhaust has been specifically engineered to destroy the simply unflattering sound factory M4 and M3s are stuck with from the factory while also providing optimum flow and resonance for a great sporty tone. When paired with the Active Autowerk Mid-Pipe sections, this system has been known to provide one of the deepest sounds and best performance of any other system on the market. How well does it work? 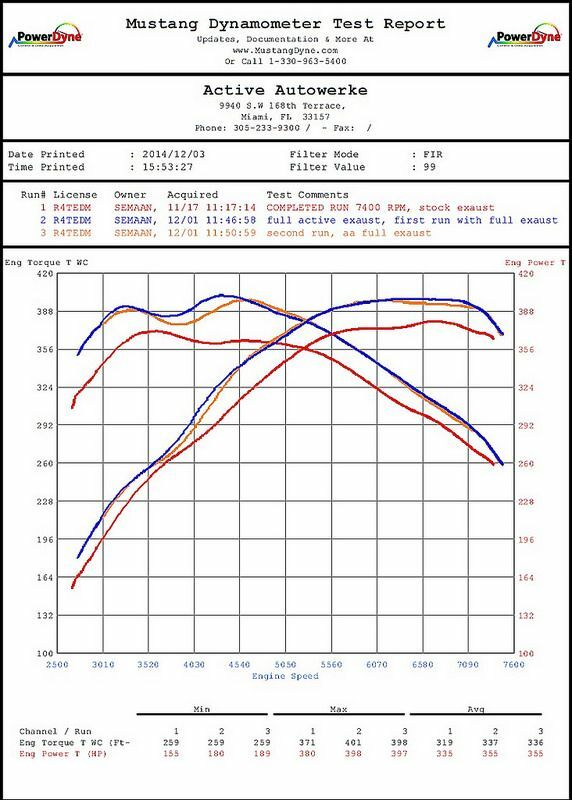 When matched with the AA Mid-Pipes, performance gains of 18+ peak rear WHP can be expected, with over 30+ LB-FT over stock. All while providing quicker turbo spool, low resonance, and a low deep rumble. This system is optimized to make the most power with an Active Autowerk Mid Pipe section. Active Autowerke warrants its Stainless Steel Exhaust against rust-through. 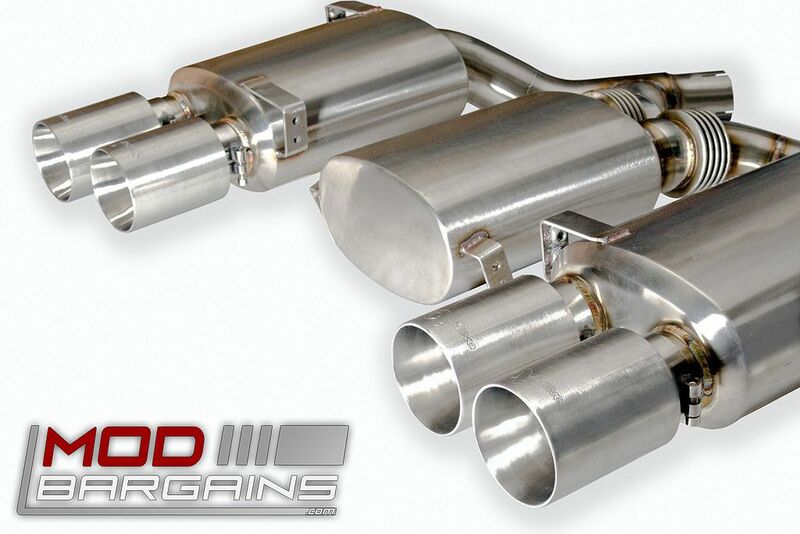 This exhaust system also carries a two year warranty against defects in workmanship and materials. Any “claimed defective” exhaust must be removed and shipped to Active Autowerke at the buyer’s expense with proof of the original purchase date. After inspection, Active Autowerke will, at our option, repair or replace the defective product. All parts for which repairs or replacements are made became the property of Active Autowerke. Damages caused by abuse or altered in any way are not covered by this warranty. 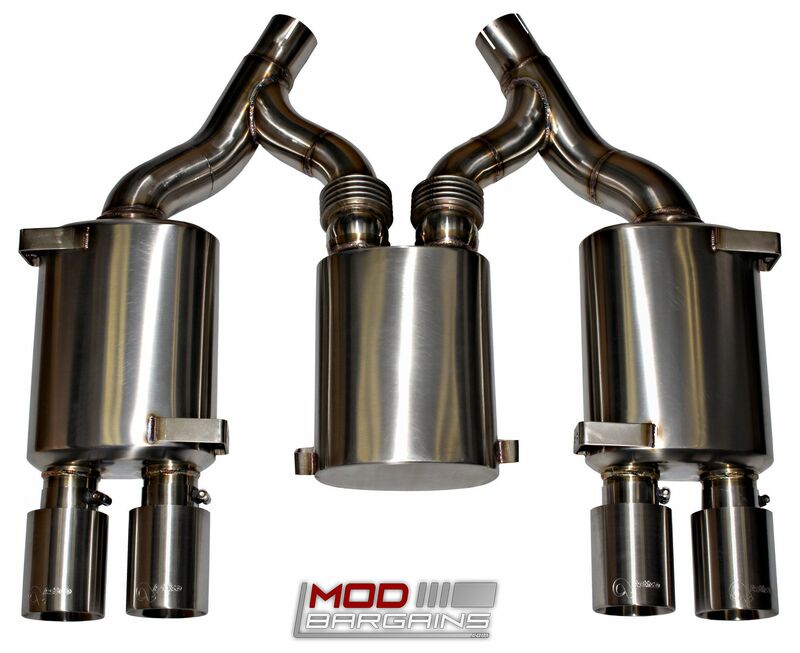 This exhaust is tuned for high performance use and we do not warrant sound quality. Active Autowerke warranties are not transferable when ownership of the product or a vehicle on which it was originally installed and sold. This warranty stated above is the only warranty, expressed or implied, of this product. In no circumstances will Active Autowerke be responsible for any consequential or incidental damages or charges.